You’re welcome, Miss Heather. Maybe Hard Hat Hannah should inspect this place. I wish whoever did this left a notation somewhere stating what paint he/she used. I’d kill to have my kitchen this color. I LOVE it. I’m a big fan of Easter Egg colors in construction. I’m sure you could find a very close (if not the same) charming pink shade! 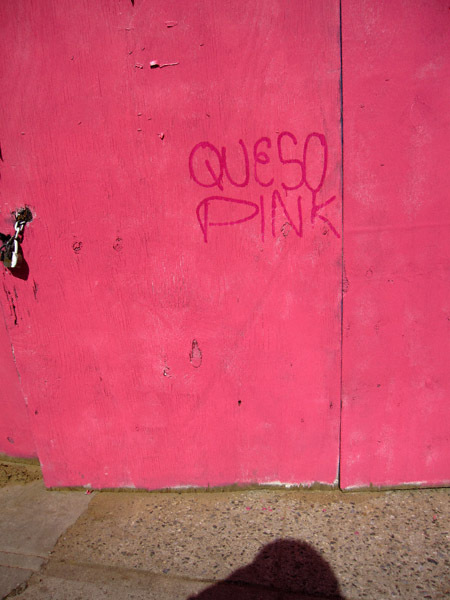 BTW, does that mean “Pink Cheese”? !